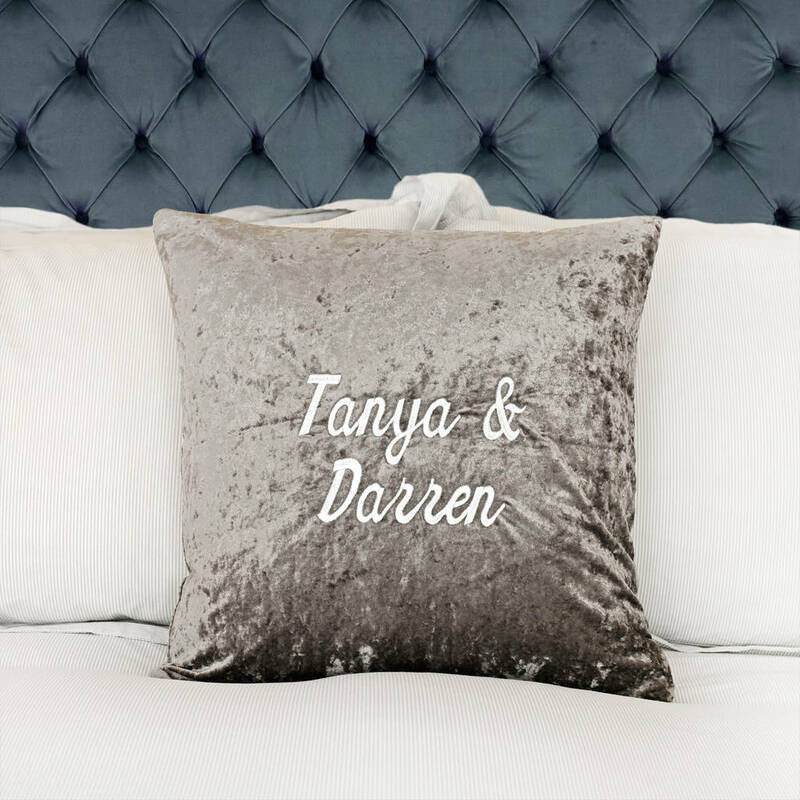 A beautiful and stylish grey crushed velvet cushion, embroidered with your own names. 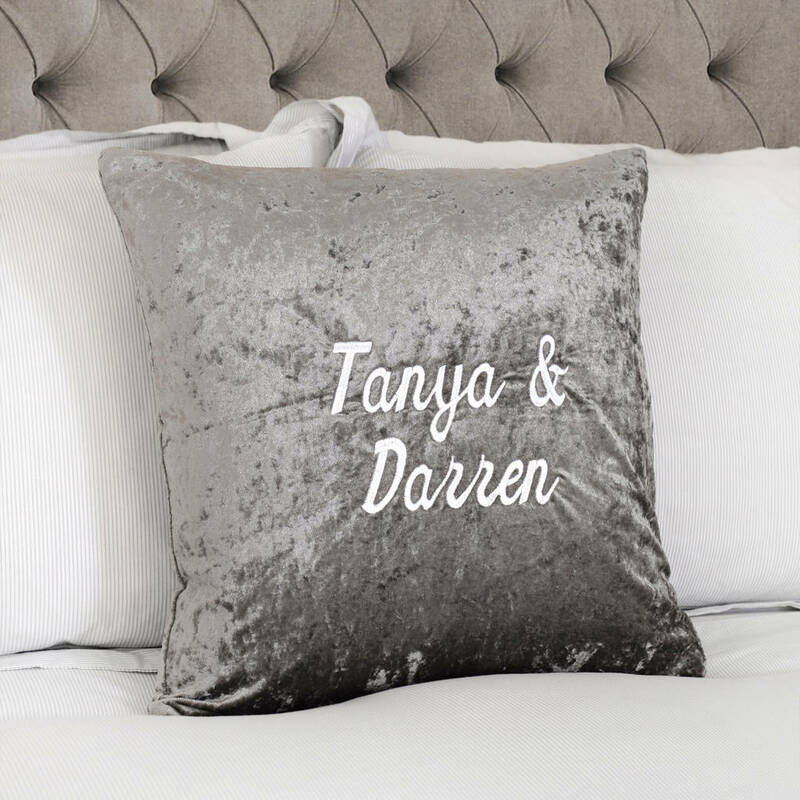 We will embroider your names onto the cushion in white thread (other cotton colours for embroidery are available upon request). The cushion cover is removable via a zip. Spot clean only. 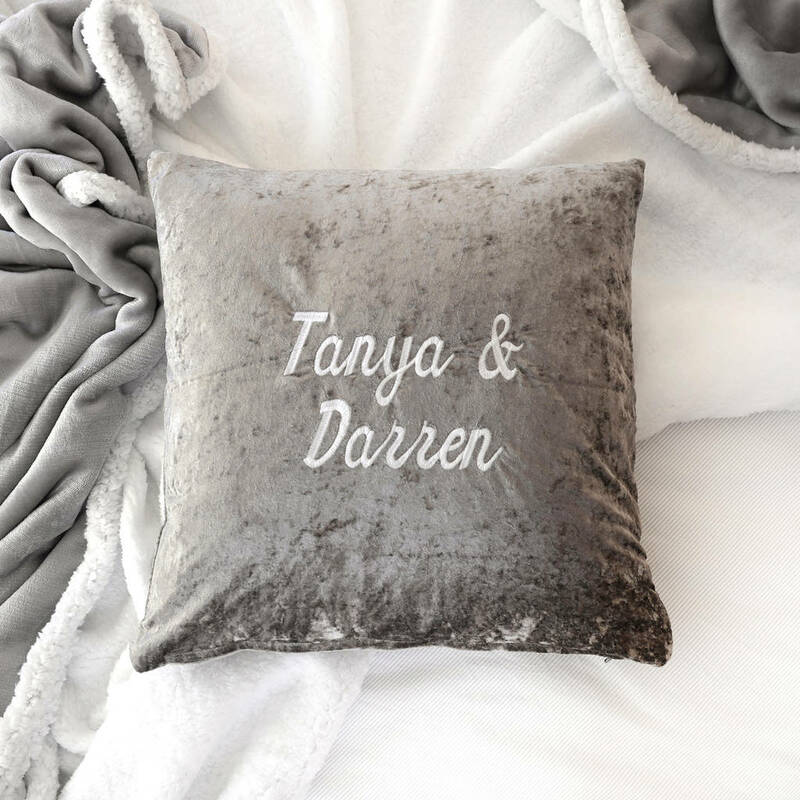 Please refer to the care instruction label within the cushion cover. The text is embroidered onto one side only. Size - 43cm x 43cm.